Nate was great. He was thorough, clean, punctual and very easy to talk to. 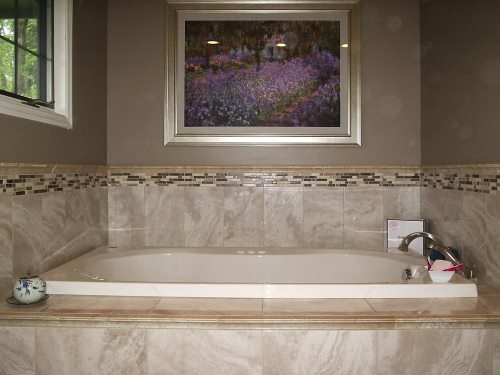 He actually charged me less than he quoted because the tile was on sale. Who does that? If you need tiling done, call him. Kept at it until the job was done; had a couple of unexpected problems but handled them very well. 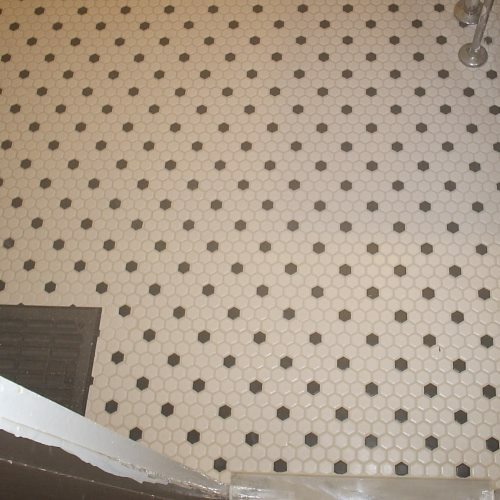 Are going to hire him soon for our next tile job. 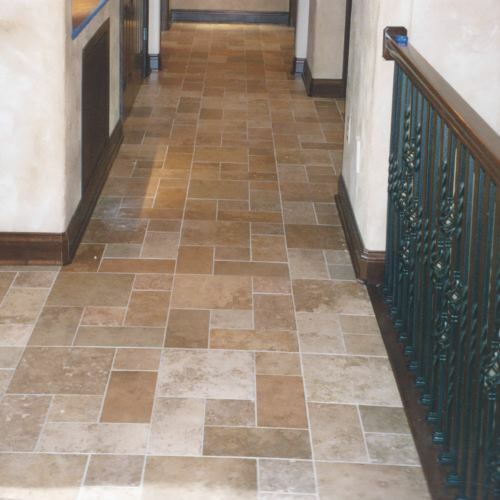 A professional - had samples of previous work done when interviewed. 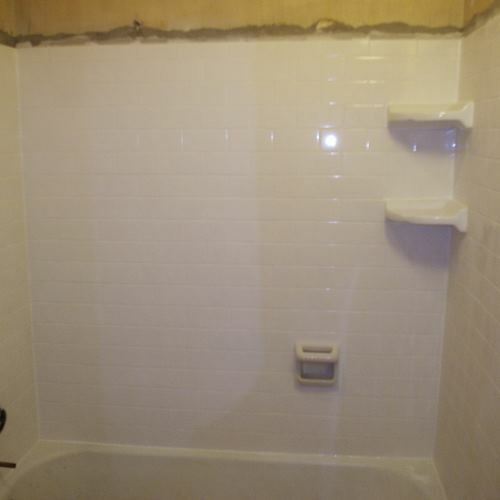 He did a very good job in removing and replacing ceramic tile around a bathtub in an older home. 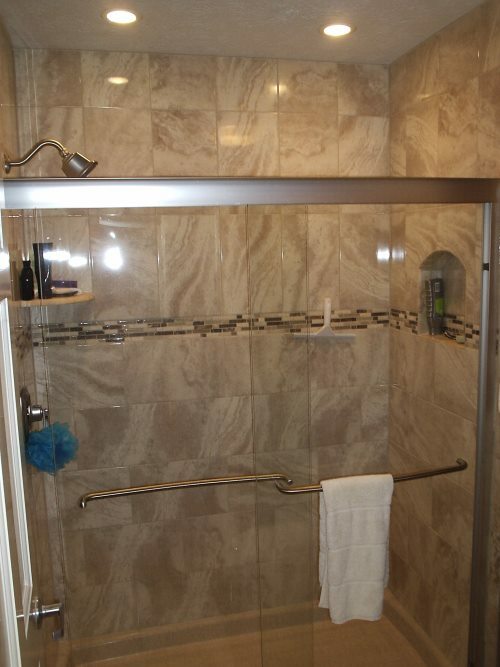 He was very flexible to work with in planning the tile design and offered good suggestions. The end job is much nicer than we had expected. 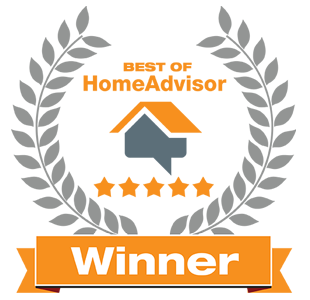 Read more reviews and see why True Tile has an average rating of 5/5 stars on HomeAdvisor and an A rating on Angie's List! 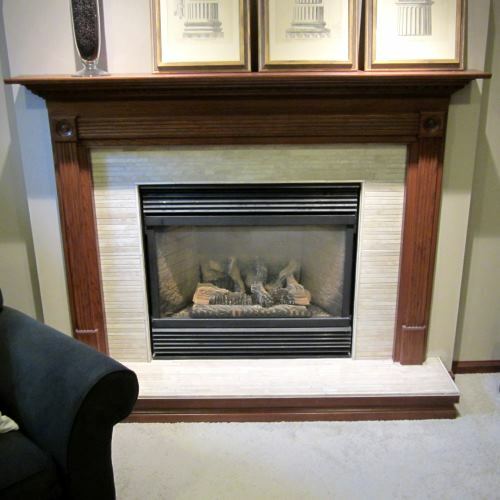 Beautiful limestone fireplace insert and hearth. Limestone chair rail tops off this surround featuring glass and marble mosaic. 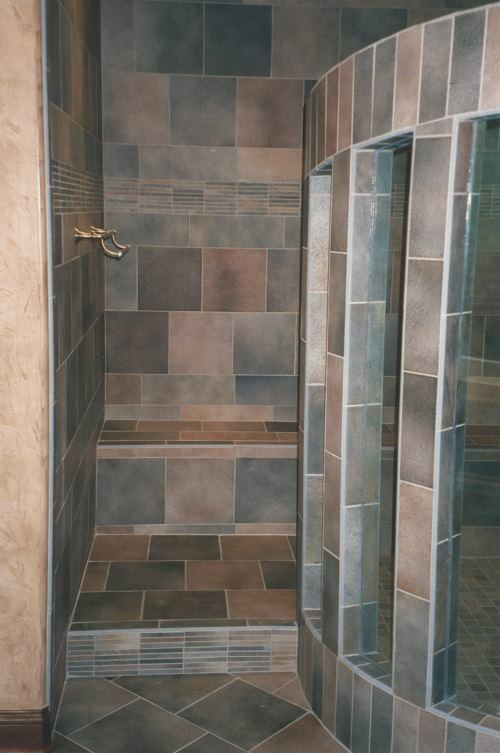 This shower features virtually stainproof epoxy grout. 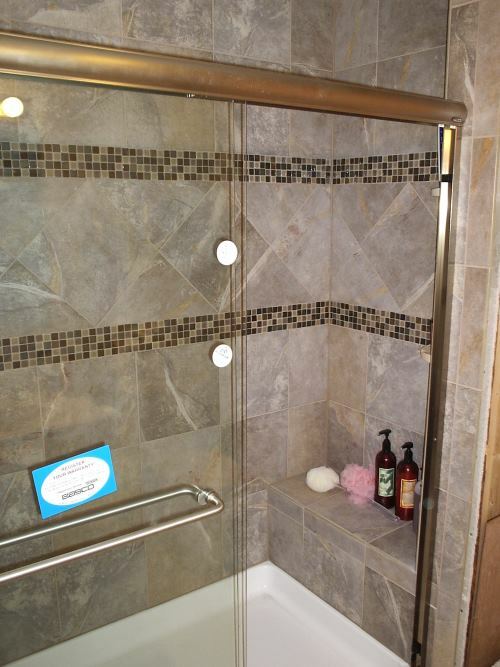 This custom shower has a bench seat, a glass mosaic accent and a diamond pattern inset. 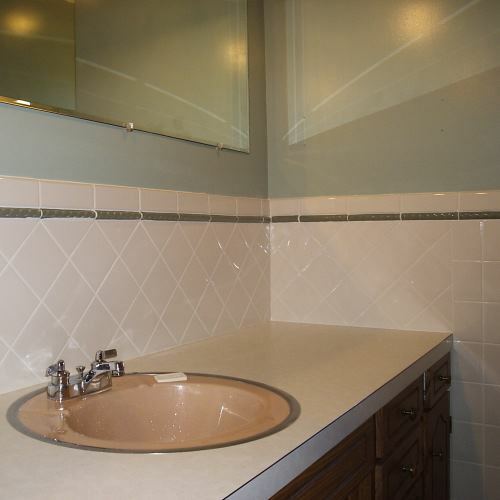 Subway tiles with vintage soap dish and two corner shelves. 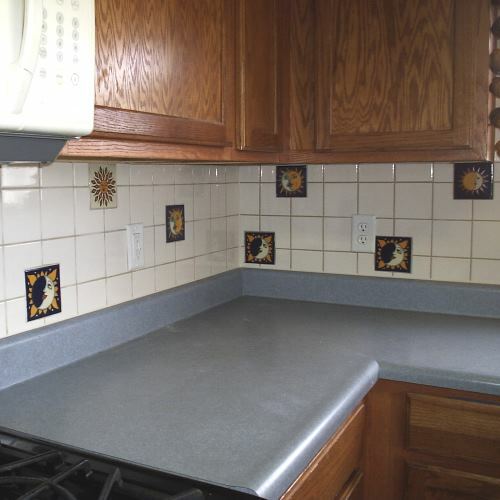 This kitchen backsplash shows off hand-made and hand-painted tiles from Mexico. 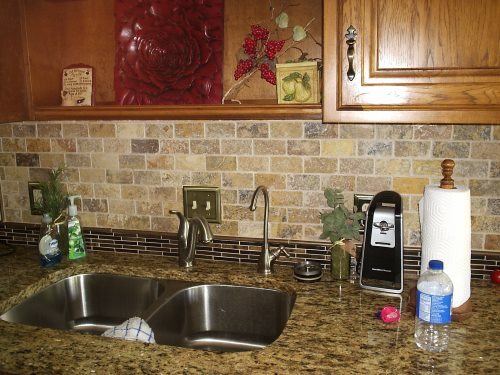 True Tile is Owned and Operated by Nathan James of Covington, Ohio.